Produktinformationen "Korean Abstract Painting: A Formation of Korean Avant-Garde"
Creations or new movements come from criticism on the convention such as the movements of the US and Europe in the modern painting after the World War II. In the West which had made remarkable development of knowledge and technology, the extremely unreasonable two world wars began. The artists who experienced the war, showed the movement of avant-garde, that is different and innovative: Abstract Expressionism in the US and Art Informel in Europe. Conventional arts merely focused on reproducing objects according to the logical reasons and compositions, whereas, these two movements put importance in artists' action, intuition, and expression mode in making art. This book explores the formation of the post-war Korean abstract painting. 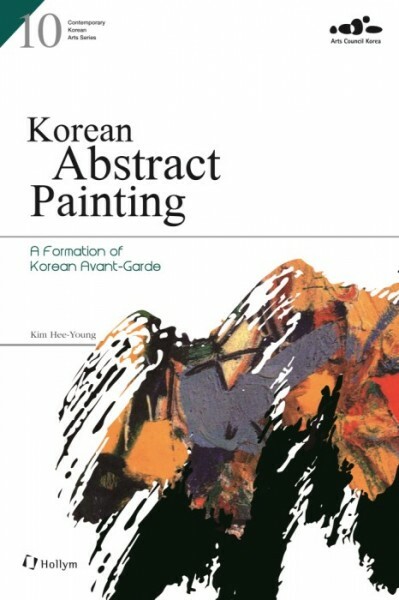 This volume firstly looks into the development of Korean abstract painting in the contemporary context. That is because Korean abstraction formed by contemporary stream such as Japanese colonial rule, independence, the Korean war, the Cold War, and American Abstract Expressionism and Art Informel of Europe. Under Japanese colonial rule, Korean artists were deprived of advanced modern art and the opportunity to interpret it subjectively themselves. Moreover Korean war and the Cold War made collective Korean artists underwent crisis of identity. Therefore, Korean artists' rejection of conventional aesthetic principles and the institutionalized system could be aptly characterized as avant-garde. This book, secondly, introduces representative eight Korean Abstract painters: Chang Ucchin, Kim Whan-ki, Yoo Young-kuk, Kim Byung-ki, Park Seo-bo, Chun Sung-woo, Youn Myeung-ro, and Choi Wook-kyung. Most of them used to be influenced by American Abstract Expressionism and Informel in Europe. However, they did not stick to foreign style and accepted it by means of spirit of criticism. Korean artists also used color stimulating psychology based on Korean sensitivity and concentrated on their independent thinking and action. Informel contributed to the formation of the avant-garde in Korea not with its style but with its spirit of resistance, and moreover, with its search for freedom in creation. 30년 이상 일본의 식민지였던 한국에서는 자체의 독창적인 미술 양식을 발전시킬 수 없었다. 광복 후에는 한국 전쟁과 냉전으로 인해 예술가들은 정치적 색깔을 드러내도록 강요받기도 한다. 이 시대적 흐름 안에서, 한국의 추상 미술은 어떻게 발전했고 어떤 의미가 있는지 알아본다. 한국의 예술가들이 일제 강점기 때의 조선 미술전람회(선전)와 광복 후의 대한민국미술전람회 (국전)라는 문화 교육 기관의 관습에 저항하는 과정을 살펴본다. 한국에서 추상 미술이 형성되고 발전하는데 영향을 주었던 미국의 추상표현주의와 유럽의 앵포르멜, 그리고 일본의 아방가르드에 대해 알아본다. 미국의 추상표현주의와 유럽의 앵포르멜에서 영향을 받아 한국의 예술가들이 나름의 문제의식을 가지고 발전시켜 온 한국의 현대 추상 미술의 의의를 살펴본다. Weiterführende Links zu "Korean Abstract Painting: A Formation of Korean Avant-Garde"
Unser Kommentar zu "Korean Abstract Painting: A Formation of Korean Avant-Garde"
Kundenbewertungen für "Korean Abstract Painting: A Formation of Korean Avant-Garde"